How -to: 1. Apply a skin coloured eyeshadow base all over the lid with a flat eyeshadow brush. 2. 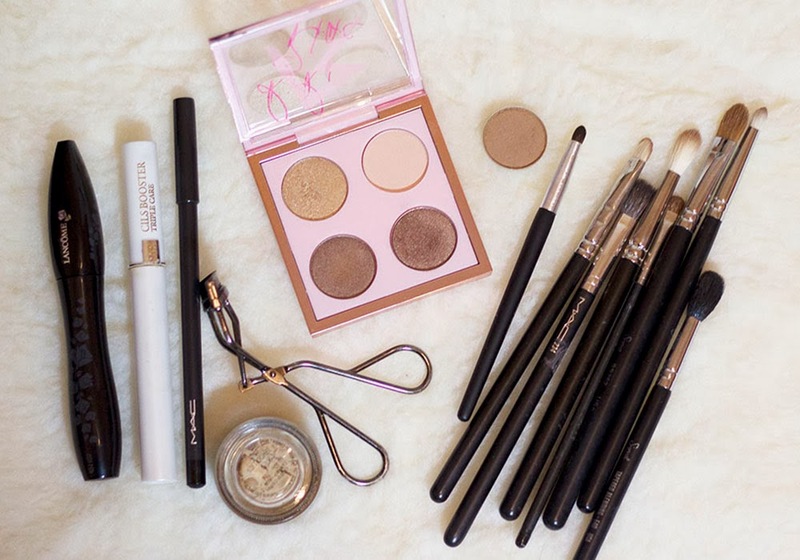 Using a fluffy blending brush, apply a creamy satin eyeshadow underneath the brow bone. 3. 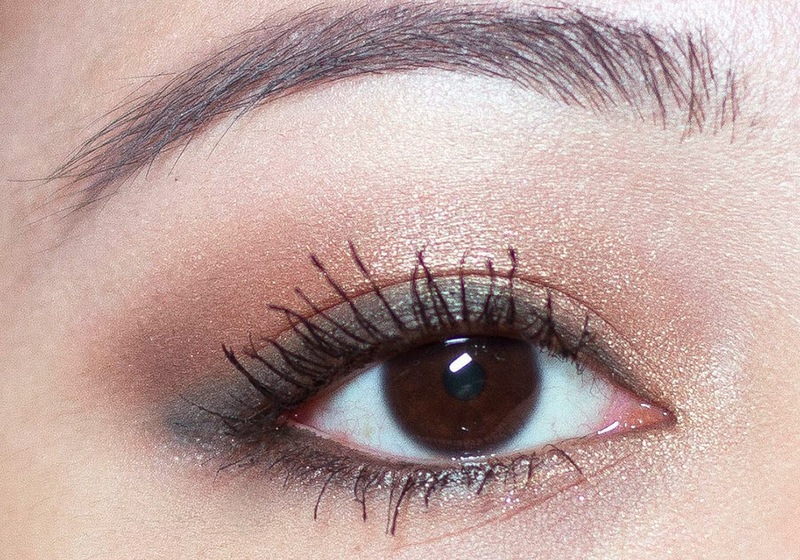 Using a stiff blending brush, apply MAC Soba eyeshadow to the crease. 4. 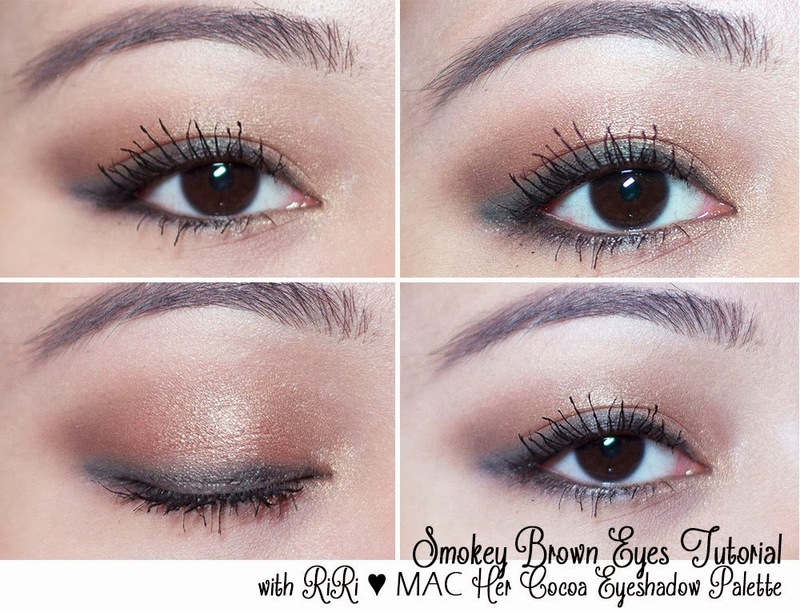 With the same brush, apply a dark brown eyeshadow to the outer corners of the crease and blend. 5. With a firm eyeshadow brush, apply a warm bronze eyeshadow on the lid and blend out harsh edges. 6. Using a pencil brush, apply dark brown eyeshadow on the outer third of the lower lash line. 7. With a small eyeshadow brush, apply gold eyeshadow to the inner crease and the inner third of the lower lash line. 8. Using a fluffy blending brush, blend out harsh edges. 9. Using a black kohl pencil, line the upper lash line. 10. Blend this out with a stiff pencil brush. 11. Apply and blend the black kohl pencil to the lower lash line. 12. Apply mascara and curl the lashes. I don't often do eyeshadow tutorials as these making these posts require a lot of effort and are quite time-consuming, but if you learnt something or if you've enjoyed this tutorial, let me know and I will try to do more! Also, I'd love to see anyone recreate this look - send me a link below and I'll check it out! Wow, I love the look and the tutorial, I'd be supperhappy if you do more posts like this one. Wow! I can see it is really time-consuming! I mean with all step by step pics......very beautiful! I love neutral shades. It doesn't look bold and daring. It did take some time to do, but your comment makes me feel it was worth it. Thanks Kaye!